Felicity Blake is a documentarian, creative producer and impact producer. She established The Dove Media in 2007. After graduating from UNSW (2000, Sydney, Australia) with a bachelor’s degree in film, she spent several years working in advertising, talent management, and feature film development before transitioning into documentary production. Felicity has since followed her interests to Iran, Libya, Egypt, Indonesia, UAE, Qatar, Azerbaijan, Bhutan and the United States. She spent 2010-2012 as Head of Factual and Transmedia at Freshwater Pictures in Brisbane, where she developed a variety of projects. Felicity has broad experience in live events, sports production, TV & feature film documentaries, 3D, multiplatform delivery, podcasting, and transmedia storytelling. She enjoys experimenting with documentary form and exploring the social impact applications of emerging tech (like VR / AR / 360). She has also provided stringer footage of Iran to ABC News and contributes freelance articles to print and digital media. ​A committed advocate for progressive social change, Felicity is a founding member of GNH Australia, a Fellow of the Centre for Australian Progress, and a passionate impact storyteller and campaign producer. In her parallel career strand in pop-culture production, Felicity was on the executive team of the Supanova Pop Culture Expo for 13 years, throughout which she managed tours by countless celebrities from genre media. In addition to her documentary work, she remains connected to pop-culture as the producer of The Periodic Table of Awesome. Impact Producer - Campaign strategy, design and execution. Social media community builder and manager, web content and design. Stakeholder management. Experience with Good Pitch. Experience working with global organisations, NGOs, & Nonprofits - filming at UNHCR locations, UNFCCC COP, World Bank HQ, US Congressional Offices, American Enterprise Institute, Starbucks HQ, Human Rights Watch, etc. 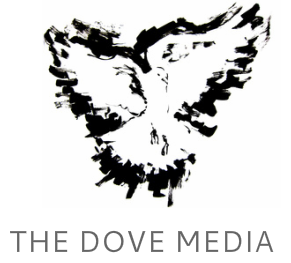 If you have a question for The Dove Media about collaborating on your project, please contact Felicity. "We must combine the toughness of the serpent with the softness of the dove; a tough mind and a tender heart." The Dove Shoots Film, Not Friends. All content on this site is (c) The Dove Media 2013 and is not to be used without permission.